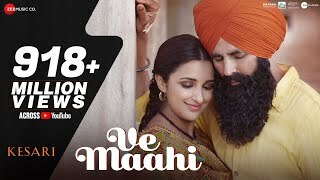 Ve Maahi Lyrics – Kesari: The song is composed and written by Tanishk Bagchi and sung by Arijit Singh and Asees Kaur. The love song is from Anurag Singh’s Hindi feature film Kesari starring Akshay Kumar & Parineeti Chopra. ओ माही वे.. ओ माही वे..